CHAMPION, MI — Helen “Marcy” Pascoe, age 93 longtime Champion resident passed away Friday February 8, 2019 at the Marquette County Medical Care Facility where she has been a resident since July 2018. Marcy was born August 1, 1925 in L’Anse, Michigan to John and Lempi (Anderson) Saari. Her family lived in Pequaming before moving to Champion. In her early years in Champion Marcy worked as a Lifeguard and was an avid swimmer. After she married, she was proud to say she was a Rosie the Riveter in Detroit in the 1940’s during World War II. Marcy worked at Bell Memorial Hospital, she then went on to become a cook at the Champion School, and retired from the NICE Community School District. Marcy and her husband Royal built their home in Champion where they stayed throughout their final years. They loved walking and snowshoeing together. They both retired in the 1980’s and then spent years traveling throughout the continental U.S. plus Hawaii and abroad. Marcy was close to her brother Bruce Saari and his family, wife and close friend Gloria Saari, and daughters, Suzan Saari, Toni Saari and Vicki Tikkanen and their children and grandchildren. They spent many weeks for years on Lake Superior near Point Abbaye. Marcy loved swimming there with this part of her family. Marcy and Royal visited Bruce and family every week for 60 plus years. Macy and Royal were also a large part of their Pascoe and Frisk families in the Champion area. They both were members of the Sacred Heart Catholic Church. This small and close community were important to Marcy. She loved her friends and family there. Marcy’s nieces and nephews meant everything to her. Her and Royal never missed very early Christmas morning to see all the kids open their gifts. The also never missed events such as other holidays, birthdays, and graduations. Marcy had a long, healthy, comfortable and good life. Her 93 years had many laughs and happy moments. Marcy is survived by a sister in law Gloria Saari of Ishpeming, along with many nieces, nephews, great nieces and great nephews. She was preceded in death by her husband Royal and brothers Bruce and John Saari. A Memorial Mass for Marcy will be celebrated at noon on Saturday February 16, 2019 at the Sacred Heart Catholic Church in Champion with Fr. Dan Moll officiating. The family will greet relatives and friends from 11:00am until the time of service. A luncheon will follow. Memorials in memory of Marcy may be directed to the Sacred Heart Catholic Church P.O. Box 99 Champion, MI 49814. A special thank you to her next ”family” at MCMCF “Valenti” since July 2018. The staff is truly remarkable and can’t be thanked enough. The family of Marcy is very grateful. They went above and beyond to make her last months as comfortable as possible. 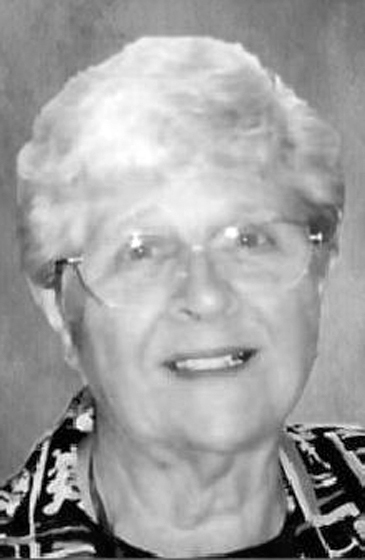 Marcy’s obituary may be viewed at bjorkandzhulkie .com where relatives and friends may leave a note of remembrance.